The Partnership sends updates for the most important economic indicators each month. If you would like to opt-in to receive these updates, please click here. For the latest data, click here. 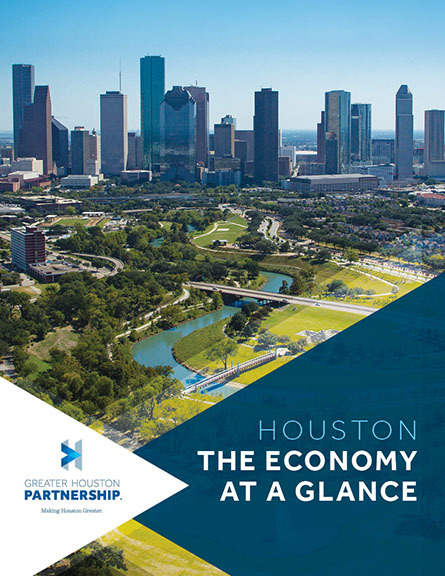 Construction starts in Houston totaled $1.6 billion in January, a 2.9 percent decrease from $1.7 billion in January ’18, according to the latest report from Dodge Data & Analytics. Residential construction activity decreased 39.3 percent since last January, while nonresidential activity increased 64.8 percent. Dodge did not report what caused the respective decrease and increase in construction activity. For the 12 months ending January ’19, construction starts totaled $21.0 billion, up 18.2 percent from $17.7 billion in ’18. The 12-month total peaked at $30.9 billion in February ’15, the height of the chemical plant construction boom. From January ’16 to August ’18, the 12-month total has held within a narrow range—$16.2 billion to $19.2 billion. However, with the recent uptick in chemical plant construction the 12-month total began to trend up again. Notable projects that started construction in January ’19 include Alta Med Main, the 338-unit apartment project close to TMC’s future TMC3 campus. The project features one- and two-bedroom units, a sky lounge and pet-washing stations, and is scheduled to open by spring ’20. The nearly $10-million tactical training center for the Houston Police Department also broke ground in January. The 44,000-square-foot, two-story facility will offer realistic, scenario-based training and is expected to open in December ’19. Petrochemical plants that are under construction include LyondellBasell’s $2.4 billion propylene oxide/tertiary butyl alcohol plant, the world’s largest, projected to be complete by the middle of ’21, and JSW’s $500-million steel plant, planned to be complete in March ’20.